The Career Mystique: Cracks in the American Dream shows that most Americans--men and women--continue to embrace the myth that hard work, long hours, and continuous employment pay off, even though it is out of date and out of place in the 21st century America. Moen and Roehling argue that the career mystique rests on three premises: the breadwinner/homemaker arrangement (a "backup" at home to nurture children and provide ladder-climbers support and encouragement), seniority (continuous time on the job brings economic and job security), and commitment (effort and initiative pay off). These premises are at odds with the experiences of most Americans. Taken-for-granted, lock-step arrangements around education, work, family, and retirement no longer fit the realities and risks of contemporary living. Yet the roles, rules, and regulations the career mystique spawned-long work hours, continuous career parths, and one-way retirement-remain in place. The Career Mysique shows that Americans from childhood to retirement must manage the mismatches between myth and reality. Many continue to climb ladders that lead nowhere or else no longer exist. Ambiguities and uncertainities about the future abound in boardrooms, offices, and factory floors, coloring the sensibilities of employees and their families as many face the realities of corporate restructuring, chronic job insecurity, and double demands at work and at home. Moen and Roehling show the career mystique for what it is: a false myth standing in the way of creating new, alternative workplace and career flexibilities. Based on research funded by the Alfred P. Sloan Foundation and the National Institute of Aging. Shows how even young children learn the career mystique, and how it shapes the goals and strategies of Americans at every life stage. Describes how American men and women manage, given the mismatch between the "rules of the game" based on the career mystique and the uncertainties, ambiguities, and overloads of work-- and life-- in the 21st century. Suggests new workplace flexibilities more in keeping with today's, not yesterday's workforce. Phyllis Moen holds the McKnight Presidential Chair of Sociology at the University of Minnesota. She is the author of Working Parents, Women's Two Roles, and editor of It's About Time: Couples and Careers. She recently served as President of the Eastern Sociological Society. 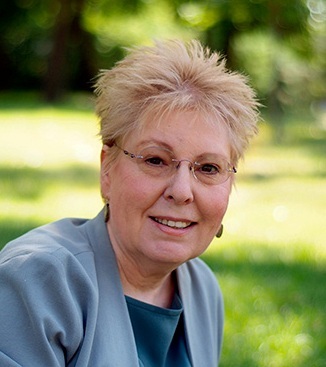 Patricia V. Roehling is professor and chair of the Psychology Department at Hope College in Holland, Michigan. Learning the Career Mystique: Where Do Values and Expectations Come From? Do Young Adults Still Believe in the Career Mystique? If Real Work is Paid Work, Can New Parents Follow the Career Mystique? Living the Career Mystique: Making It, Giving Up, or Slipping Behind? Life Midcourse: Are Retirement or Second Acts Inevitable, Desirable, or Even Possible? Policies and Practices: Maintaining the Status Quo or Challenging the Career Mystique?